Hot water heater is one of the relied on appliances in our homes. From cooking, bathing and cleaning, we rely on its proper functioning for hot water. Can you imagine waking up to a cold shower? But most of the homeowners don’t realise how heavy they rely on this appliance. In fact are unaware of its operations and even reading simple indicators of looming water heater problem. They only remember of a water heater when they can’t get hot water in the house. But how do you tell that your hot water system needs a replacement? We’ll explain how to know if you may need to have your hot water heater replaced. How old is your water heater unit? The time that you’ve been using your water heater should give an indication that you need a replacement. A standard water heater should’ve a useful life of 8-12 years depending on how it has been maintained. The quality of water is also a factor to be considered while calculating the lifespan of this appliance. If you are using hard water, the unit might break down even within the guaranteed time if it’s not properly maintained. If you know the age, it gives you an idea of when it needs a replacement. If it is pushing the ten-year point, this is the perfect time to replace it instead of waiting for a total breakdown. The number of users in the household may also determine the lifespan of the water heater. A leak is a serious problem with the water heater. If you notice standing water around the appliance or there is a visible leak in the water heater, then this is an obvious sign that you need a replacement. There is no repair for a leaking tank and trying to operate with a leaking one keeps you at a risk of flooding or serious failures in the near future. But you need to check where the water or the leak is coming from. Some leaks like those coming from valves may be repaired but not the tank itself. Always remember to check other areas such as pressure overflow pipe and other connections for leaks before replacement. A properly functioning water heater should provide hot water as set by the thermostat. If the unit was providing hot water and all of a sudden it starts supplying cold or lukewarm water, then there is a problem. If the adjustment of your thermostat and it does not show any changes in temperature, then your heating element is burning out. This is an indication you need a new water heater to restore the supply of hot water. An increase in hot water demand at your home could be the reason why the water heater is producing lukewarm water. Check your hot water demand and if it is too much than the water heater can handle, replace it with a new one of larger capacity. Rust and corrosion mostly inside the water tank are signs of an end of useful life of the unit. If you notice rust in the water coming from the taps or the shower, it is an indication the end of your water heater. This is a clear indication that it has been worn out and might even end up damaging the entire system. The rust coming from the tank is like to destroy other appliances in the house such as dishwashers and washing machines. It will also damage your plumbing system, particularly the piping system due to clogging. Rust is, therefore, a sign of your water heaters end of life. It’s also important to check if you have a galvanised piping that could be the source of rust to avoid replacing a functional water heater. After some time, your hot water heater may start producing noises, particularly when heating the water. If you often hear banging and rumbling coming from the water heater, this is a sign that probably the unit is wearing off, and it is coming to the end of life. Noise is usually a result of sediment building up around the heater. The noise is usually made by the sediment while it gets heated. The sediment corrodes the heating element and also creates a layer (scale) on it thus making it very difficult for the system to work efficiently. Continuous rumbling might result in leak with time, and thus it’s important to have the water heater replaced. Over the time, the bottom of the water heater’s tank will start collecting sediment. As the sediment starts building up, it might break down the interior of the tank, and this will end up clogging the drain valve. This is what blocks the water from coming out. 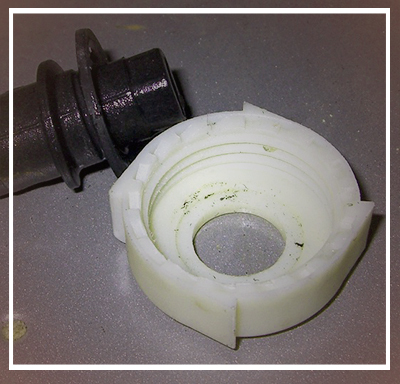 If flashing out of the water is not enough to open up the drain valve, you will need to replace the heater. Sometimes, blocked drain valve can result in leaks and thus it’s important to have the water heater replaced. The size of the water heater depends on the demand of the household. How many users or appliances do you have in your home? Maybe you installed the water heater when the family small and it has grown big over the time. Maybe had few appliances that use water in the home but you have added more. These are some of the factors that increase demand of the water, and they will reduce the effectiveness of the unit. It is, therefore, important to have the water heater replaced with a larger capacity that can meet your water demand. If you take drinking water direct from the tap, you should notice a difference in taste and smell. If you realise that your water supply from the tank has a metallic taste and smell, it is a sign that the water heater is breaking down. This is mostly as a result of corrosion from the inside. Rusting of the hot water tank or wearing off of the heating element could another reason for this. These metal elements in the water are hazardous to your health, and thus you need to have the water heater replaced immediately. It’s very easy to tell if your hot water has reduced efficiency. If your energy bills have been hiking yet you have not added new user or appliances; then the unit efficiency is going down. Poor efficiency means that your unit will be using more energy to heat the same amount of water. If you try all the efficiency improving methods and it doesn’t work, it is time replace it. Frequent hot water system repairs are an indication that the system is already worn out. If this is happening when the water heater is serving its tenth year or above, then it is ready for a replacement. At this point, repairs can do very little to salvage the situation. There is a high possibility that you will be fixing one problem after the other the cost can be unbearable. If this is the case, then have it replaced.